13 January 2015 by . We welcome you warmly and we hope that while you are listening, you will be accompanied by the Holy Spirit who will explain to your heart every word and everything you may perceive. 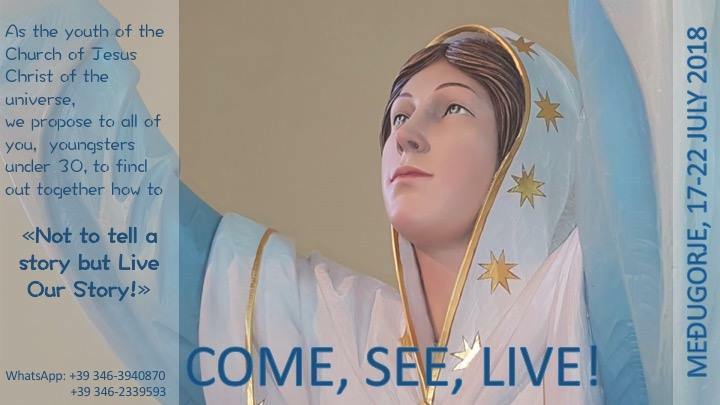 We will continue to speak about the apparitions of Our Lady, the Queen of Peace, in Medjugorje. Before listening to this story, I would like to teach you something that many people miss. When we receive a grace, especially a great grace, and when we touch the presence of this grace in the apparitions of Our Lady, we forget that grace is like spring: it is charming, but its charm does not last; why? Because you are left free to choose God and progress or to stop at the level where grace is instrumentalised, that is, when we welcome it for our survival on Earth, to be comforted. Through our weakness the enemy comes in, as the gospel explains, and steals the grace, or he harms the grace so that it will not bear abundant fruit. The story you will listen to shows perfectly how Satan tries to infiltrate into all instruments; no one is spared; no group, no community, no service within the Church. So, let us listen. The passage is on page 298. From the first apparitions in Medjugorje Our Lady had warned Her children of the action of the devil and of his attempts to make the plan of God his own. She called everyone to pray and do sacrifices to prevent this from happening. Every plan of God is part of a greater plan which is that of the salvation of all men through Jesus Christ. In the frame of His salvific plan God developed other plans whose realisation contributes to the fulfilment of the plan of salvation. Some of these plans are extraordinary because they involve the whole humanity and, in particular, the faithful people. The Marian apparitions are precisely extraordinary plans of God, thought to shake humanity and invigorate the Church. When Lucifer counters an extraordinary plan of God, he begins to study all the details in order to seize the whole or at least a part of the plan and turn it in his favour. Nevertheless, you must know that Lucifer does not know many things, as God reveals him only a minimal part of His thought in order to let him know the limit beyond which he cannot act; for this purpose God sends the Archangel Michael to the underworld to announce the demons just the strictly necessary. Lucifer learns the rest concerning the plan of God through deception: he listens to the discussions of men, spies their movements, observes how the instruments of God move and lies in wait. He knows well that he can count on the enthusiasm of the superficial and the fanatics who in front of supernatural events of great dimension, as the ones of Medjugorje, speak continuously about it appropriately and inappropriately. Therefore, in the beginning he shows no violent opposition but will let things go ahead in order to collect as much information as possible. As soon as he learns what he needs, Lucifer begins to study the weak sides of those who believe in the plan of God; he uses the weaknesses of the people to interfere in the plan of God. For example, if God requests to remain detached from material goods as a condition for His plan to be realized, Lucifer will focus on the people’s needs, on the fear of tomorrow or the thirst for profit. The persons whose faith is weak will feel threatened by the plan of God and begin to oppose it; as they will not admit their opposition to God’s plan, in which they initially believed, they will seek the most varied justifications wrapping them up with spiritual explanations. All this will affect others who harbour the same insecurities, and then others, and so on. In this manner, by using the weaknesses of men, Lucifer begins to harm the plan of God by raising doubts and creating confusion, which will show God’s plan and those who believe in it in a bad light. At this point Lucifer will launch a real external attack: persecutions, defamations, bans from the authorities, as it happened in Medjugorje under the communist regime which wanted to forbid the gatherings of the faithful, etc. In this way the weaker ones are discouraged since they become scared in the face of threats. Finally, Lucifer shifts the attention to those who are called to discern the supernatural events inside the Church. Here his action reaches its peak: he raises doubts, fears and divisions in order to distort the favourable judgement. In the meantime, his friends who, unfortunately, have infiltrated even in the ecclesial hierarchies carry out wide-ranging action using all the power they have received from Lucifer. The result is that the official Church almost always postpones any judgement or condemns without appeal. In the specific case of Medjugorje, after decades of apparitions and pilgrimages, the official Church has not expressed herself yet. The Bishops who should evaluate concretely the fruit Medjugorje has brought forth within the people of God are divided among themselves and have not determined yet if it is Our Lady who appears in Medjugorje or the devil. God is patient but not indefinitely. The successful outcome of a plan of God depends not only from God. Obviously, God could with His omnipotence and knowledge accomplish successfully each of his plans; within a moment God could change the course of history, but he does not do so. We have repeated many times that God expects the free and sincere collaboration of the people and that He respects the freedom of everyone even of the wicked. He intervenes to prevent the worst. When man does not collaborate because he has not belief, no desire, etc., or, when he is strongly against God, God will step back, so to say: He will let man go the way he has chosen. At this point, though, he also allows Lucifer to act, for justice, so that man may learn from his errors and recognise what is right, since he will not learn in any other way. The reaction of Lucifer against the events and the people related to Medjugorje came quickly. Divisions and disputes inside and outside the parish, persecutions by the former communist regime and even persecutions by the local Bishops. Moreover, Medjugorje became the scene of another fight: that between visionaries. According to the plan of God from Medjugorje many buds and extraordinary gifts should have sprouted for the Church and humanity. So, it was natural that many of the children of God who went to Medjugorje experienced the awakening of gifts and charismas. It was necessary to discern with wisdom and to accompany these persons in the right way so that they could join the plan of Our Lady and enrich it without taking away anything of the original message. That was especially the task of the priests of the parish. On the contrary, from the beginning there was a clear denial of all that did not come directly from the six “official” visionaries. The awakening of the charismas in many souls, the arising of new religious communities was seen as dangerous; some even thought that it was the work of the devil, his attempt to seize God’s plan. Very soon great confusion was created around the message of Medjugorje and God was forced not to extend the scope of the message. The river of Medjugorje, originally destined to grow more and more until inundating the whole Church, was deprived of many of his tributaries and weakened. 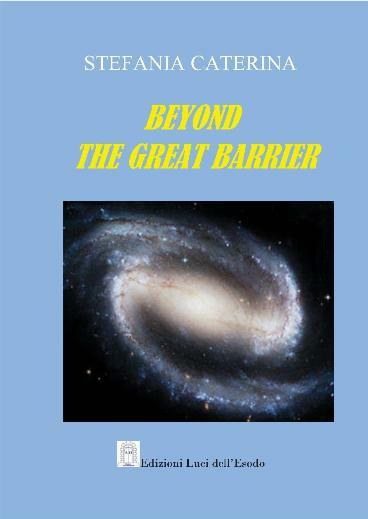 Our Lady could not go beyond a certain limit with Her teachings; mainly, She could not face the broadest and most profound issues of the plan of God such as life in the universe. During the many years of apparitions in Medjugorje the Lord and His Mother have called, and continue to do so, many people, besides the parishioners, in order to introduce them into the highest and most subtle realities of the spirit: individuals, new communities, priests, religious people. The graces God has poured out were numerous and there were many generous responses. Nevertheless, the message of Medjugorje has not gone much beyond the initial level: it remained a call to prayer and conversion and is therefore not very different from that of other apparitions; it remained anchored to the Earth and the needs of the Earth. However, God wanted something quite different! Lucifer’s anger against Medjugorje grew in the measure of the inflow of pilgrims. The attacks launched seemed not to discourage the faithful; thus something more striking was needed which would counter the power of the apparitions and which would especially prevent Our Lady from saying the things She wanted to say. The Illuminati, who were pressed more than ever by Lucifer and his demons, again took action. What could be better than a war, since Our Lady had introduced Herself as the Queen of Peace? It would have been clear to everyone that the apparitions were not real: exactly there where Heaven was speaking of peace, a war would have been unleashed. And the war really broke out. At the end of the eighties the communist regime weakened and nationalism took over. In 1992 Yugoslavia disintegrated and in the same year a fierce war began which would end only in 1995. Our Lady warned Her children in vane of a great danger, calling them to prayer and penance. The war broke out and was disastrous and merciless. It was not a local but a world war as behind the forces fielded other world powers acted pushed by Lucifer’s hatred. Beside the reasons that history has given, the war in Bosnia and Herzegovina was first and foremost a war against Our Lady, against the faith of the Croatian people and against Medjugorje. However, God did not allow his enemies to triumph: Medjugorje was not touched. The hatred of Lucifer cannot prevail over the love of God. Let us take a deeper look at certain points that are fundamental for our inner journey. “When man does not collaborate because he has no belief, no desire, etc., or, when he is strongly against God, God will step back, so to say: He will let man go the way he has chosen. At this point, though, he also allows Lucifer to act, for justice, so that man may learn from his errors and recognise what is right, since he will not learn in any other way.” Every act of unfaithfulness towards God and towards Our Lady, leaves an empty space for the enemy, for Lucifer, who will come in and harm the plan of God within us and through us. Careful, let us remember the total consecration to Mary of John Paul II and the offering of his life as a sacrifice to Jesus in reparation of the sins. If our offer is true, God may act freely within us. The second point is: God wanted to grant many gifts, many charismas in and through Medjugorje; however, “It was necessary to discern with wisdom and to accompany these persons in the right way so that they could join the plan of Our Lady and enrich it without taking away anything of the original message. That was especially the task of the priests of the parish.” How many divisions how many disputes occurred, why? The reason is that we do not get rid of our selfishness and egocentrism, and we treat our experiences as absolute while there is no one to guide us, to walk ahead of us and to unite the people. How can the people be united? Through the consecration to Mary Immaculate and the offering of one’s life to Christ; this awareness should be alive in the believers, especially every time when participating in Christ’s sacrifice during the Mass. If they participate profoundly in the sacrifice of Christ through Mary Most Holy, they will draw from the harmony of God’s love and join others like in a mosaic, that is, in the Mystical Body of Christ. Wars and persecutions between the people broke out; so what happened? One visible result: “Very soon great confusion was created around the message of Medjugorje and God was forced not to extend the scope of the message.” God could not give us further graces; He could not guide us any further as we are not ready to welcome novelties. Our Lady could not explain the plan of the recapitulation of the whole universe in Christ and prepare the people of God for the faithful brothers and sisters to God and the universal communion. I call on you to open up to Jesus through Mary Immaculate and to participate fully in the work of God and Our Lady, whose work is always God’s work, so that Our Lady may form with Her Son Jesus Christ the new people who complies fully with God’s projects so that the plan of God may manifest itself in its full extent. I bless you; may the Holy Spirit descend on you; may He explain to you all things, not only the ones written in this book, but all the things that happen within you which are not clear, limpid, righteous, faithful; where the spirituality is not immersed in the Holy Spirit and the Holy Spirit cannot involve the whole person and thus cannot involve the others around you. I bless you so that all these graces may stay with you and bear fruit; in the name of the Father, of the Son and of the Holy Spirit.